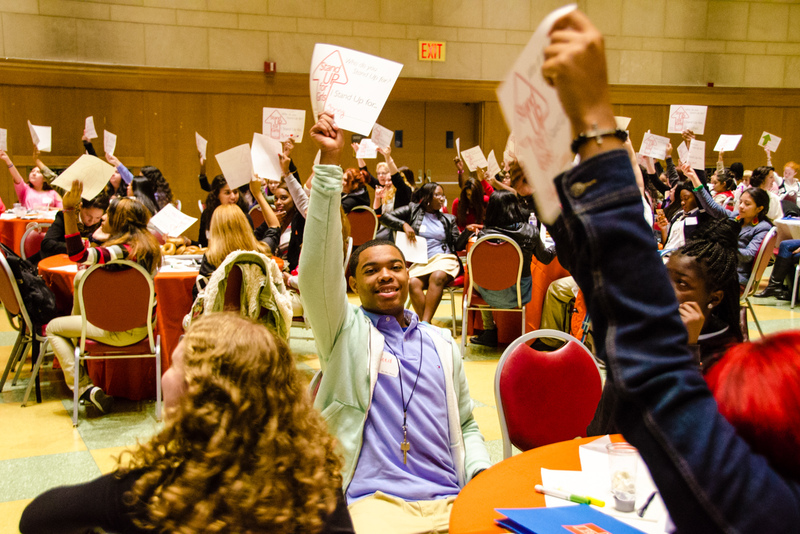 On October 11th, 200 middle school and high school students came together at Riverside Church in New York City to use their own stories, and the stories of the women who inspire them, to stand up for every girl's right to learn to read and write and tell her story. We were joined by three incredible artists and spoken word poets: spiritchild, Angel Nafis and Casey Rocheteau. At noon we started a rainstorm, raising our voices and standing up in unison for a safer, more peaceful and prosperous world that listens to all girls and values their right to learn all they need to know to create a future of their choice - and to use their personal narrative to plan for and pave the way to all of her goals. The stories we shared together inspired us. We are full of deep and profound gratitude for the brilliant young leaders that filled the room; for our dedicated, generous and kind volunteers, interns, guest artists, board members and dear friends and LitWorld family members. Thank you for being with us to Stand Up for girls and speak out for the transformational power of story. We are each other's strength. For more photos from our Stand Up from Girls celebration and international celebrations, click here.